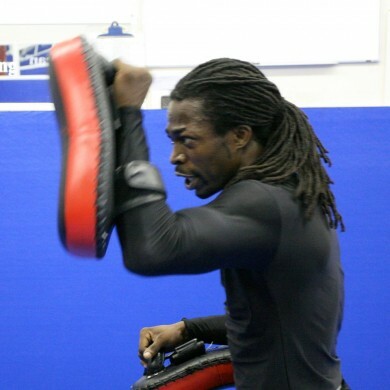 Terrence Whitmore originally started his training in boxing and is extremely proficient in his striking style for MMA. He has been training in Gracie Jiu-Jitsu under team GAMMA and now has his purple belt in Gracie Jiu-Jitsu, he has competed extensively in Jiu-Jitsu and grappling events and is presently fighting in Mixed Martial Arts. He is always ready to help his students and have a genuine love for the sport of Mixed Martial Arts.